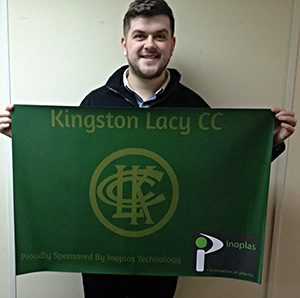 Inoplas have sponsored Kingston Lacy Cricket Club for the 2017 season. Our sponsorship will go towards grounds maintenance for the club and you can see the banner being hung at all home games this season at the picturesque Pamphill village green just a mile outside Wimborne. Lacy start the season at Home to Hamworthy at 1.30 pm on Saturday 6th May under the captaincy of our very own Bobby Dykes and all spectators and supporters will be very welcome. For more information on the club please visit: kingstonlacy.play-cricket.com and we wish them a successful summer.